This is one of my all-time favorites, and it's too cool that you know the theater! Yes, loved Steve McQueen in this, and also his girlfriend, who later played Helen in Andy Griffith! The remake didn't even come close! 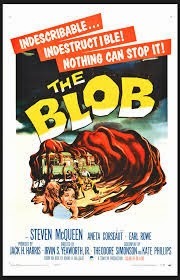 Sounds like the Blobfest is a must do! Thanks for a great post!